Sweet and sometimes a little stubborn? 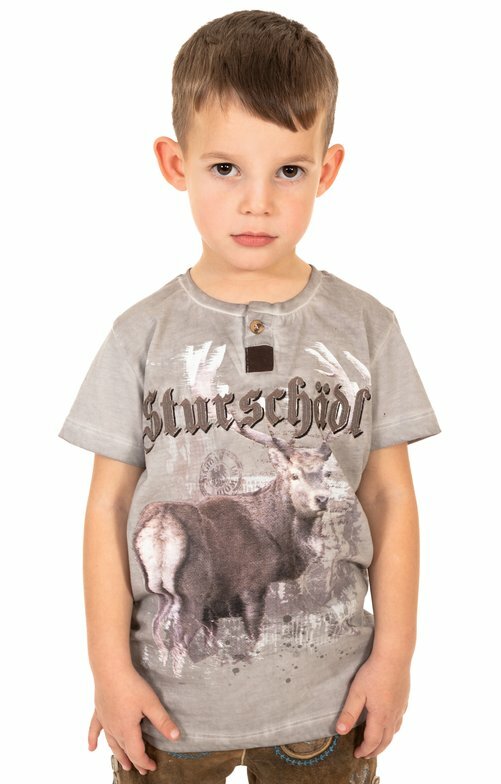 If you recognise your little darling in this description, surprise him with this traditional kids' T-Shirt Sturschädl Kids in grey. Especially funny is the imprint Sturschädl in combination with the rustic deer. The grey basic tone of the traditional T-shirt goes perfectly with the entire wardrobe.